Throughout this season, we have noticed one thing about a lot of the films coming out that have something in common: passionate women. From Lady Bird to The Post, from Three Bilboards Outside Ebbing, Missouri to I, Tonya, films this year have featured women front and center. Here’s a quick breakdown of some Oscar nominated films that are highlighting passionate women in power! Lady Bird written and directed by Greta Gerwig follows high school senior “Lady Bird McPherson” (Saoirse Ronan) through a series of firsts as she struggles to fit in. 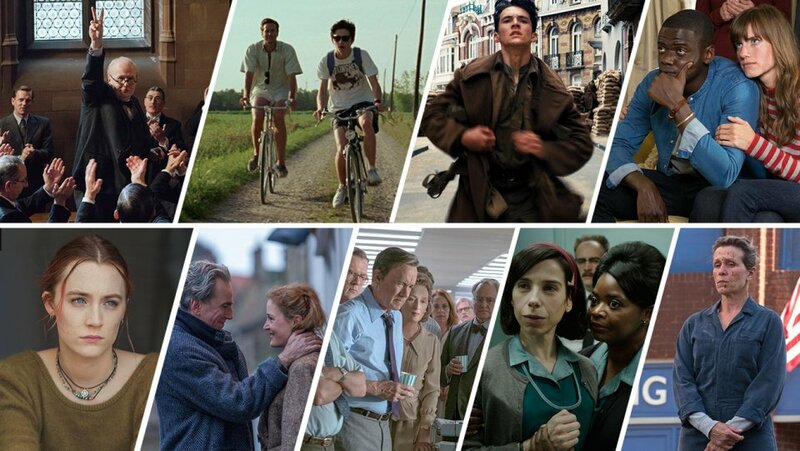 Nominations include Best Picture, Lead Actress, Director and Original Screenplay. Read the full review by FF2 Media Intern Amelie Lasker, who rates it 5/5! The Post written by Liz Hannah and Josh Singer, and directed by Steven Spielberg highlights the incredibly stress that “Kay Graham” (Meryl Streep) is under when her family newspaper is gradually going under while the United States is in turmoil over recent revelations about the Vietnam War. With the help and determination of “Ben Bradlee” (Tom Hanks), Kay is faced with an impossible decision, but one that will change the industry forever. Nominated for Best Picture. Read the full review by FF2 Managing Editor Brigid Presecky who rates it 4.5/5! Mudbound written by Virgil Williams and Dee Rees, directed by Dee Rees, and based on the novel by Hillary Jordan, is the gut-wrenching story of how two families --one white, one black—struggle to survive on a farm in rural Mississippi. Set during World War II, each family is anxiously awaiting the return of a son home and tensions rise when the soldiers realize nothing has changed back home. Nominations include Supporting Actress, Adapted Screenplay, Original Song (“Mighty River” by Mary J. Blige). Check out the full review here by Contributing Editor Lindsy Bissonnette who rates it a 4.5/5! The Breadwinner written by Anita Doron and Deborah Ellis, and directed by Nora Twomey, this full-length animated film is set in Afghanistan when a determined and brave young girl disguises herself as a boy to save her family. Nominated for Animated Feature. Read the full review by FF2 Social Media Manager Georgiana Presecky who rates it a 4.5/5! The Shape of Water written by Guillermo del Toro and Vanessa Taylor and directed by Guillermo del Toro takes place in a top-secret research lab during the cold war when a quirky but lonely cleaning staff member “Elisa Esposito” (Sally Hawkins) discovers something incredible happening in the lab. With the help of her neighbor “Giles” (Richard Jenkins) and friend/coworker “Zelda Fuller” (Octavia Spencer) she goes on the adventure of a lifetime. Nominations include Best Picture, Lead Actress, Supporting Actor, Supporting Actress, Original Screenplay, Cinematography, Film Editing, Sound Editing, Sound Mixing, Production Design, Original Score, and Costume Design. Read the full review by FF2 Managing Editor Brigid Presecky who rates it a 3/5, and FF2 Contributing Editor Lindsy Bissonnette’s 2 cents piece (who rates it a 4.5/5). And here are some films that, though they don’t have female writers and/or directors, feature some badass women and are worth the watch! Three Billboards Outside Ebbing, Missouri written and directed by Martin McDonagh shows “Mildred” (Frances McDormand) who, months after the murder of her daughter, is still left without closure when the murderer has not been caught. In an effort to make her point, she paints three billboards with controversial messages directly aimed at the town’s chief of police. Nomations include Best Picture, Lead Actress, Supporting Actor (twice! ), Original Screenplay, Film Editing, Original Score. Coco written by Lee Unkrich, Jason Katz, Matthew Aldrich, and Adrian Molina, and directed by Lee Unkrich and Adrian Molina is the story of a young boy “Miguel” (Anthony Gonzalez) who loves music despite warnings of how music can tear a family apart by “Abuelita” (Renee Victor) and “Mamá Coco” (Ana Ofelia Murguía). When he is accidentally transported to the Land of the Dead, he is dependent on a charming, but sneaky “Héctor” (Gael García Bernal) to help him find his way back to the living. Nominations include Animated Feature, and Original Song (“Remember Me” by Kristen Anderson-Lopez and Robert Lopez). 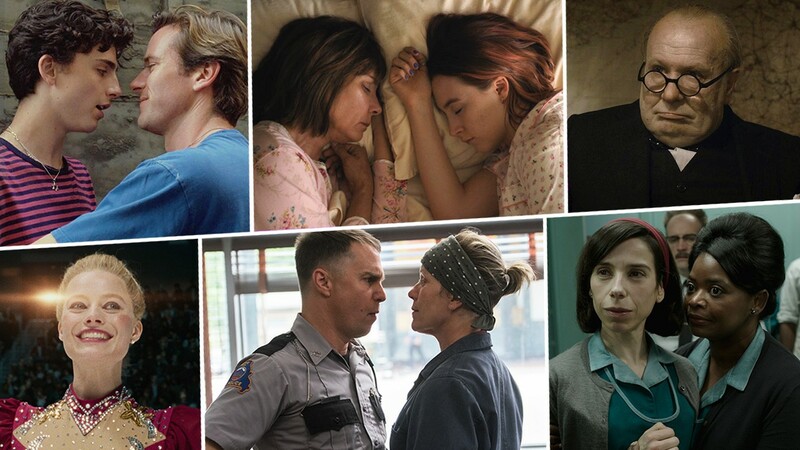 There were a lot of phenomenal films this year. Unfortunately, many of them didn’t make the Oscar nominations list, including those on the FF2 Media staff’s For Your Consideration lists.